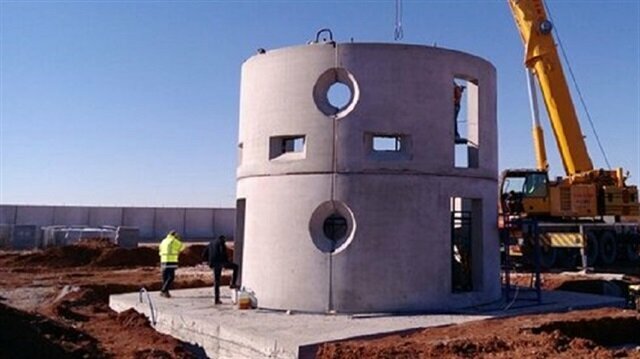 After the construction of a 688-kilometer wall between Turkey and Syria and a 144-kilometer wall on the Iranian border was initiated, the construction of watchtowers with a height of 15 meters and a diameter of 7 meters was also given the green light. The high security surveillance towers, dubbed “kulekol,” are to be placed at certain intervals between the border walls, and a military team of 10 will reside there. In order to intervene in emergencies, passenger routes are also built at 10-kilometer intervals along the security line. Within the scope of anti-terrorism measures, the high security project at the border has entered its second phase. The security wall was woven on the border of Syria, which is predominantly a straight line. Approximately 250 kilometers of the border wall were initially constructed by governors, but TOKİ, Turkey’s public housing body, has since taken over the project and completed the remaining section of the wall. TOKİ started the construction of the 144-kilometer border wall on the Iranian side after finishing the 688 kilometer wall on the Syrian border. There are currently watchtowers with a height of 15 meters and a diameter of 7 meters being built along this wall. The project aims to prevent illegal crossings and terrorist infiltration from Syria and make the border more secure. 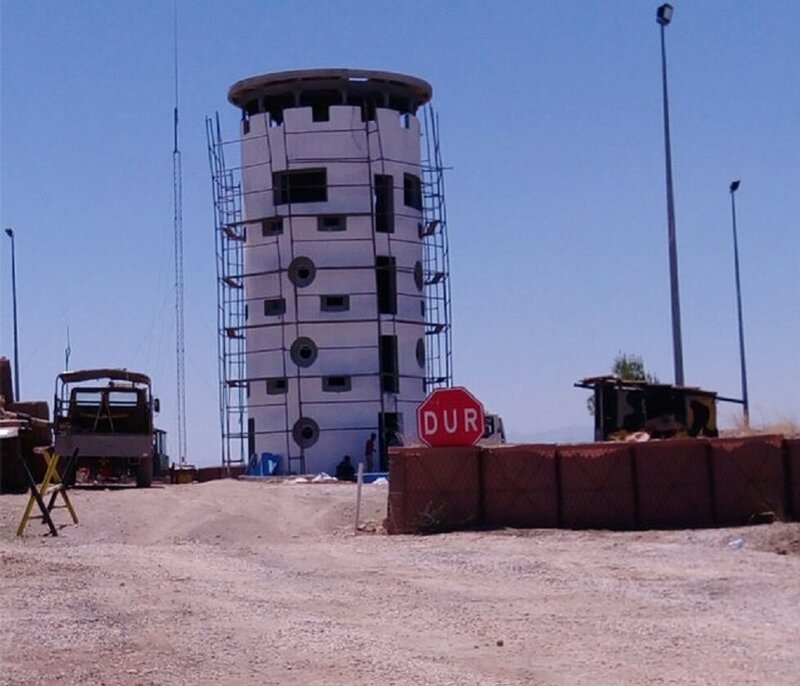 A total of 21 watchtowers will be built on the border line in Gaziantep and Kilis. Of these, 18 will be on the border line of Kilis-Gaziantep and three will be on the border line of Gaziantep-Karkamış. In addition to the watchtowers, passenger roads are being built especially in the mined areas and where the Daesh has placed handmade explosive traps. Through these roads, which will have 10 kilometers apart, depending on the location, soldiers who pass through the dangerous areas will be able to reach the security wall and intervene at any point along the border. 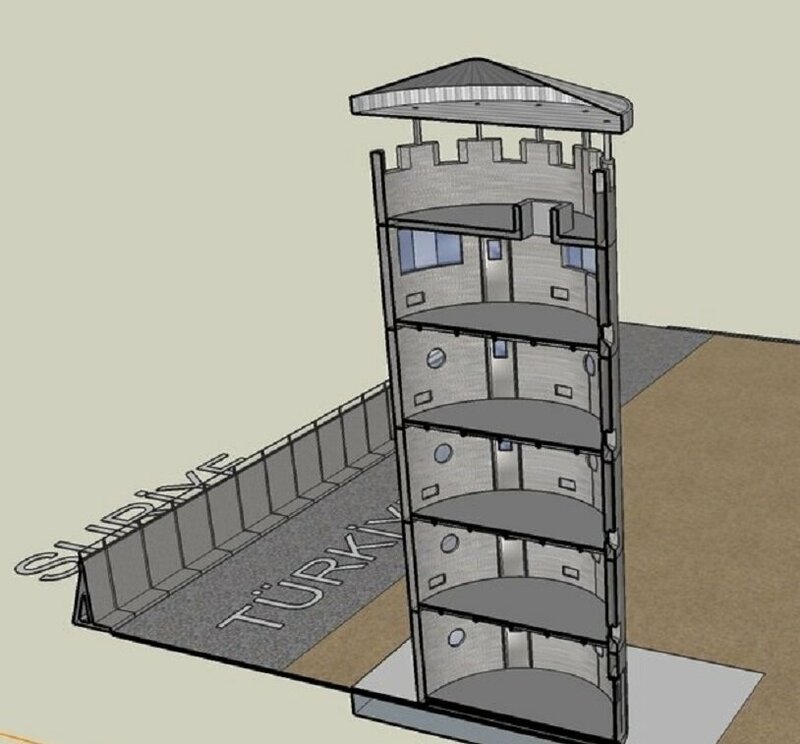 The watchtowers, which will have five floors, will cater to all the needs of the soldiers who will be stationed there, including showers and an armory. The first floor is designed as a system room, and the windows of the watchtowers are bulletproof. The second floor is designed as the living quarters, and even has an oven. The third floor will be used for surveillance. The prefabricated watchtowers are comprised of four module wall elements, and one module of flooring and parapets. The walls of the watchtowers, which are 30 centimeters thick, were designed with a structural steel system. Precast elements of 10 centimeters were also installed to withstand explosions. The steel roof is coated with galvanized trapeze sheet metal. The watchtowers will be built on an underground reinforced concrete enclosure with 10 tons of stainless steel, a packaged hydrofoil and a 10 cubic meter septic tank. The energy needs of the watchtowers will be provided from generators located at nearby police stations. 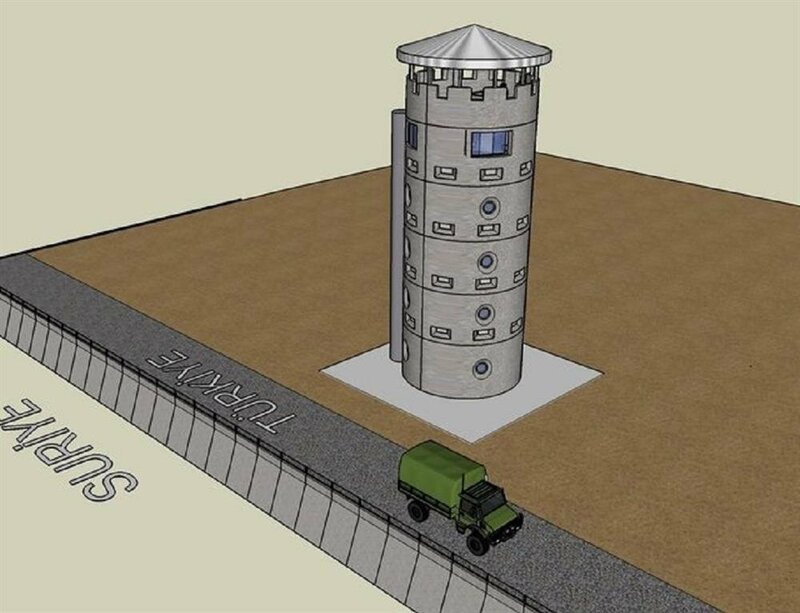 According to Habertürk newspaper, when the security issue in the area is located or neutralized, the watchtowers can be relocated. The border wall, roads and watchtowers are all domestically produced by Turkish firms. This mega project, undertaken by TOKİ, costed TL 700 million.